Here’s a new twist on a holiday tradition: breakfast with Santa is coming to Aptos Village Park on Saturday, December 5th, at the Lions Clubhouse. The event begins at 10 AM and ends at 1 PM. This is a fundraiser to support the new restrooms and concessions building for the Polo Grounds park. Tickets are $10 for adults and $7 for children under 12. Please bring your camera to take pictures with Santa! This will be a wonderful event for families and children. The Polo Grounds is desperately in need of restrooms and a concession stand. Show your support for our community and our kids this Saturday December 5th! 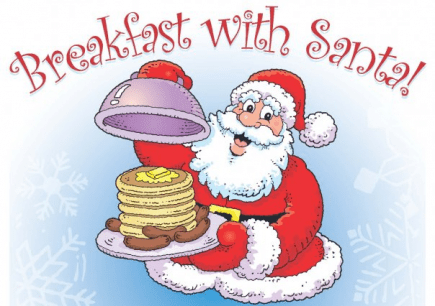 We’ve created a Facebook Event for Breakfast with Santa – please invite your friends with kids, let’s make a great showing of support for this project, and spread some holiday cheer!